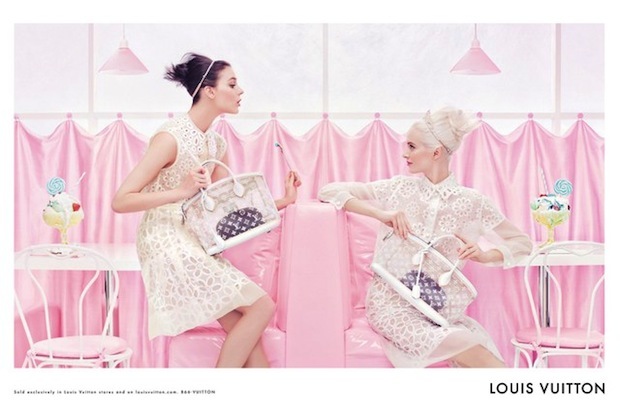 I love sweets and Louis Vuitton's newest campaign is sweet as sweet can be. 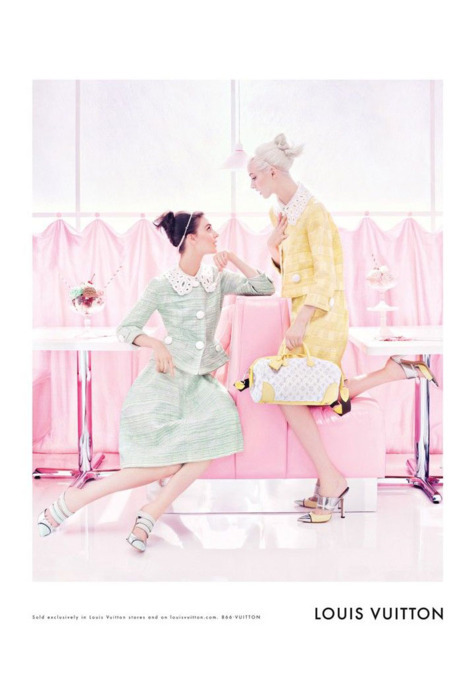 The ads, set to run in February, are pretty much a wonderland of fashion confection. 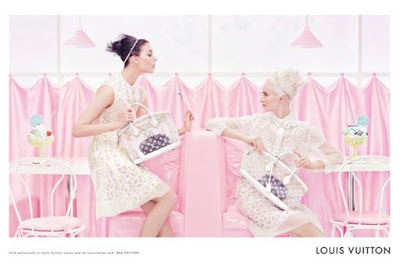 Shot by Steven Meisel and starring Daria Strokous and Kati Necher, the Louis Vuitton dresses fits the girly backdrop to a T. Marc Jacobs told WWD, "It's all very soft and very sweet, yet at the same time very bold and very graphic" I couldn't agree more! The unabashed sweetness makes it one of my favorite ads of the season. What I Wore On My Birthday!